Bring the magic of The Polar Express to your home for the holidays. This hanging piece of art captures Santa and his reindeer flying into the night. Composed of translucent, vibrant colors, StarFire prints are designed to capture the natural light of your room. 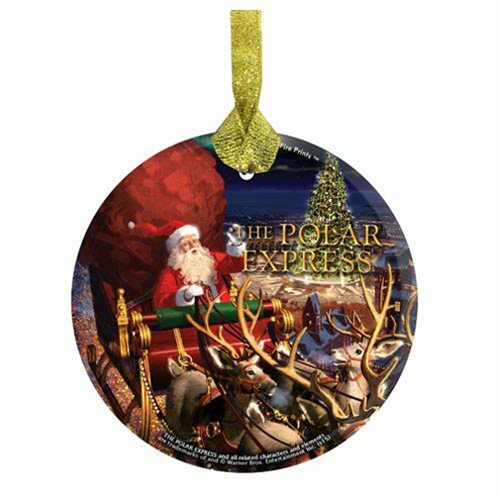 Measuring approximately 3 1/2-inches across, The Polar Express Santa StarFire Prints Hanging Glass Print is scratch and fade resistant and comes ready to display. Measures 3 1/2-inches in diameter.